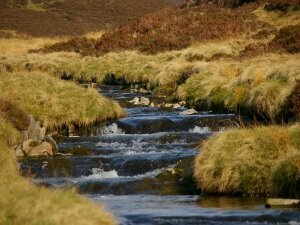 Leaving the public road at Allenreid we gain the open moor in the Braes of Glenlivet after fording the Livet above Inverblye. 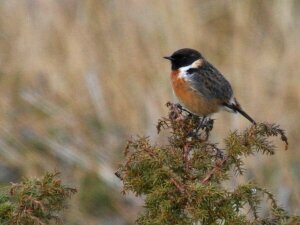 This moor is home both the Red Grouse, and the rarer Black Grouse. Mountain Hare are resident on the higher ground although they are somewhat sleepy during the daytime. 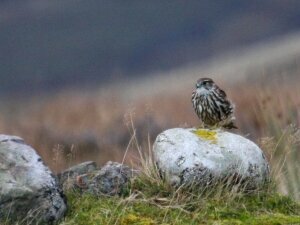 All three are on the menu for the young Golden Eagles that use this area as a hunting ground. Raven are usually not far behind, ready to clear up the left overs! Continuing to Suie and the Kymah Burn we stop to make an excursion on foot. 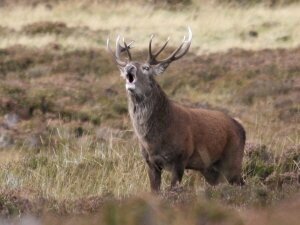 The Suie is much favoured by Red Deer during the rut. A walk of up to 1km will enable us to appreciate the dynamics of the rut better on the ground. 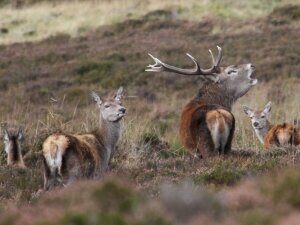 Master stags try to acquire harems of hinds for the rut. But this is not easy because there is a lot of competition. The result is a great deal of roaring, posturing and running around in small circles. If all else fails then locking antlers with your rival is the only answer! 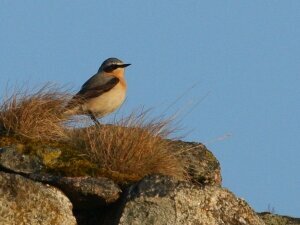 Returning along the course of the Livet we could spot Dipper, Heron, Snipe or Goosander on the river. After fording the Livet and crossing lush meadows at Achdregnie we enter Birch Juniper woodland at Tombae. As dusk falls Brown Hare can be spotted foraging in clearings as the Bats emerge for the evening feast of insects. By now this years Roe Deer kids are getting more adventurous and we may well be treated to some memorable sightings. 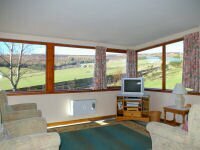 Come and experience highland wildlife in its natural habitat. 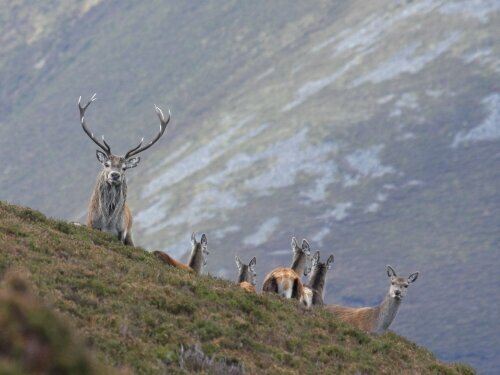 During the autumn Red Deer gather for the rut near the Kymah Burn in the Braes of Glenlivet. 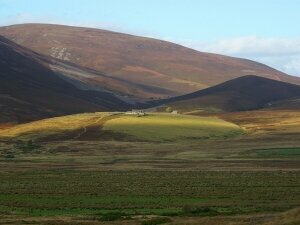 See them on an off road land rover tour of this remote glen. 3 hours 30 minutes approx.